Looking for something different to try for breakfast? Check out this recipe! It is great for breakfast on the go. 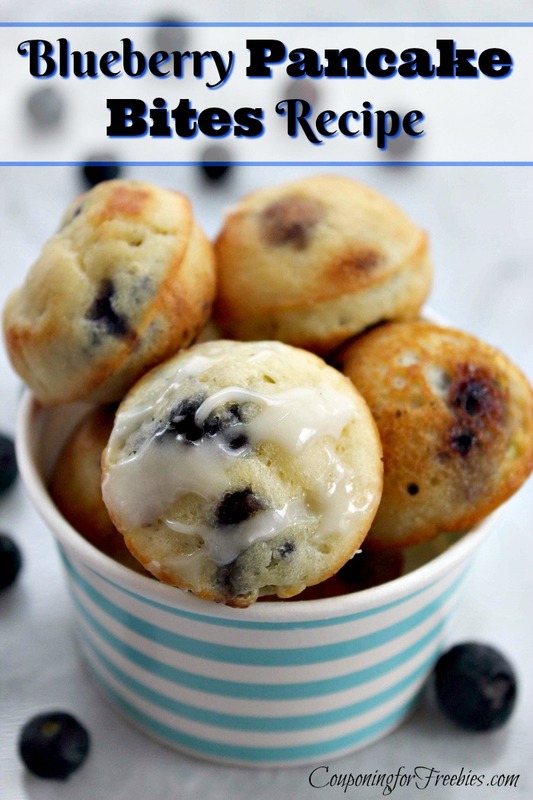 You can even do these Blueberry Pancake Bites ahead of time and throw them into the freezer. Then just take them our and heat them and head out the door. Preheat oven to 375. Spray donut hole pan with nonstick spray. Whisk together flour, baking powder and sugar. Stir together egg, vanilla, milk and butter. Add wet ingredients to dry ingredients. Fill each hole 2/3 full and press 2 blueberries in each cavity. Bake 12 minutes then flip each hole and bake for another 3 minutes. Serve with syrup, glaze or dusted in powdered sugar, if desired.